Rick Platt: Gorge Road: Photographed, But Didn't Exist? Gorge Road: Photographed, But Didn't Exist? 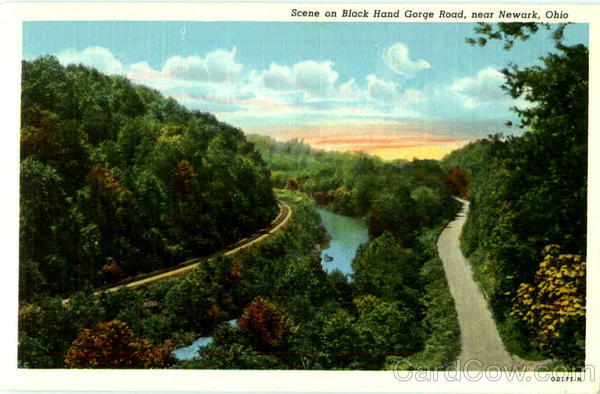 My Blackhand Gorge obsession continues. Don't tell my wife. The latest issue of discussion is who owns the tunnel that is excluded from the common area of a nearby subdivision. The deed for the subdivision calls out the tunnel and former railway land. We know it was a road after the railway left. Knowledge after that gets fuzzy, though. There is actually no evidence proving it was, even, a township or county road. 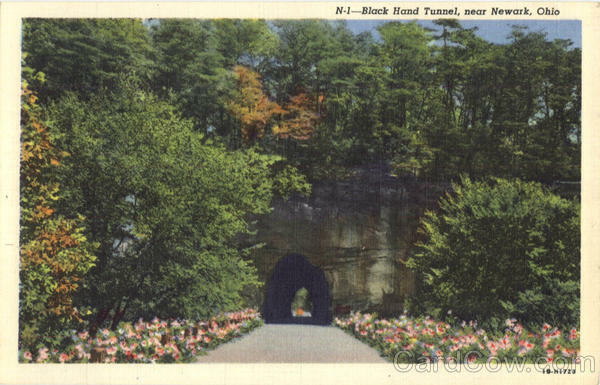 However, as just a few old postcards show, it was one of the most-photographed and documented roads in Licking County. Did the Army Corps of Engineers buy it when they forced it to be closed to make way for the Dillon Dam project? Does a power company that took ownership after the railway company still own it? Interesting questions like these and more abound. How does a oft-photographed road turn up to never exist? 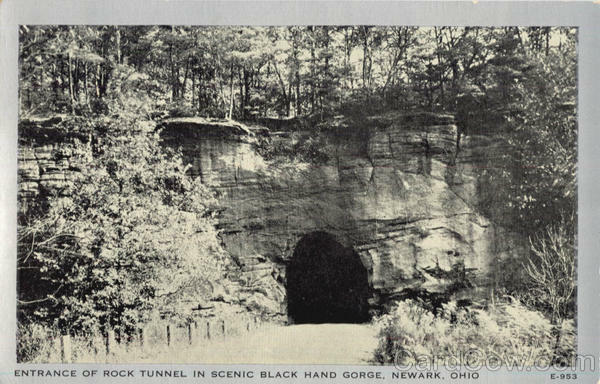 The answer, when its obtained, could be the key to opening up the north side of Blackhand Gorge to the public to see more often. Stay tuned. Look at the road here on the north bank of the Licking River. 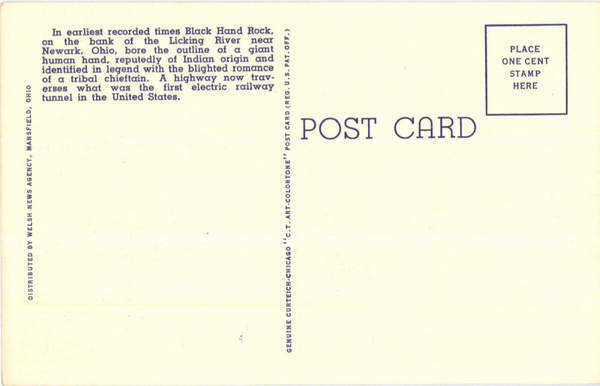 And more proof it existed from still another postcard. Gotta read the back of it too. Even the "A" in Newark showed Gorge Road. 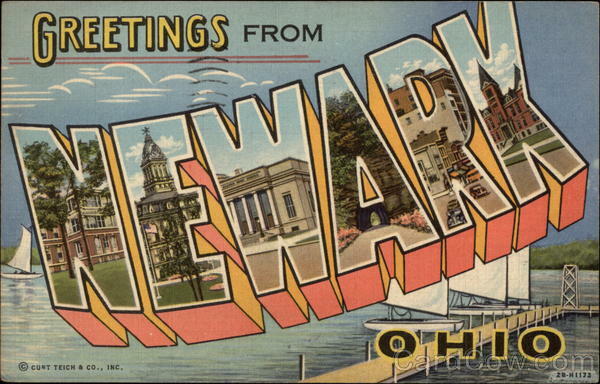 There's, even, a scene of the road at the Ohio Historical Society's online collection of "New Deal" projects.